Human Capital management (HCM) is simply a term given to software that helps businesses manage their human resources across all aspects of employee needs. Immediate considerations might be payroll and attendance, but additional ones could be training and development, recruitment and on-boarding, as well as overall employee performance. 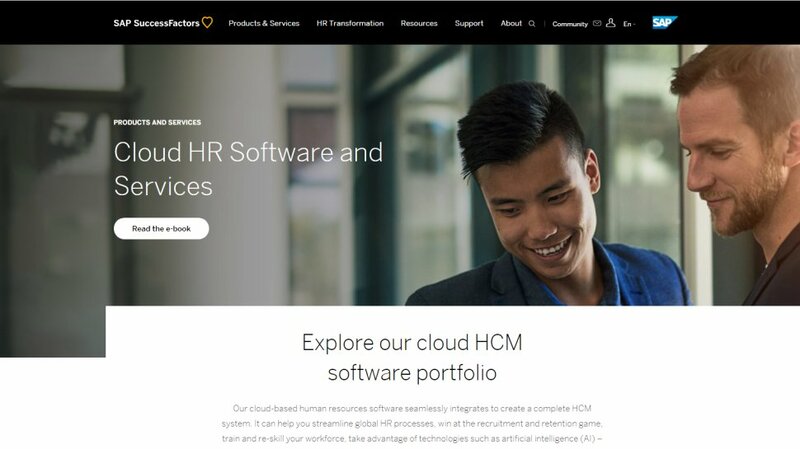 All of this can be packaged into a single software platform to make human resources work better within an integrated HCM framework. Even better, analytics can then provide actionable insights to help increase efficiency and improve productivity, without harming your business. Moving to the right hcm solution can seem like a daunting challenge, but done right it can work wonders for your profit margin while improving employee engagement and motivation. Just ensure that any platform is properly tested for your organization&apos;s needs before you look to adopt it, otherwise what promises to be a solution can end up as a problem – and not just for you but also your employees. To help you decide on the right solution, we&apos;ve put together a list that features the Best in Human Capital Management software. SAP SuccessFactors is an American company which provides cloud-based human capital management (HCM) solutions. They were founded in 2001. This cloud-based HCM suite includes payroll and HR management as time management tools. SAP SuccessFactors is geared towards companies with less than 500 employees. The platform can help handle your personnel files. It helps with setting your company&apos;s goals and managing employee performance. SAP’s setup wizard walks you through all the steps when you activate the solution for the first time. The wizard will ask what tasks you need to undertake and will offer tutorials and handy suggestions to better acquaint you with the platform. All employees can log into the main dashboard. Administrators have access to more features. It’s laid out tile format. They represent ‘To-Do lists’, performance goals, reviews, successions and manage pending requests. All SAP SuccessFactor’s pricing models are available upon request. Online commentators have noted that the solution is not as competitively priced as other HCM software. Oracle is a computer technology corporation which develops and markets database software, technology, cloud engineered systems and enterprise software products. They were founded in 1977. Oracle HCM Cloud is a comprehensive HRMS suite. It is geared towards medium to large sized businesses. The solution is made up of several different modules which can purchased as one single suite or as individual stand-alone products. The ‘Global HR’ package features employees&apos; information, self-service functionality, worker lifecycle and processes for industry and union support. There are also tools that provide information on the cost and impact on any organizational changes. The ‘Workforce Management’ module helps companies manage employees and labour costs. The ‘Work Life’ solution provides companies with the skills required to retain employees and knowledge on how to improve employee satisfaction. For pricing information, you will need to contact Oracle directly, and the company offers a demo of their services for interested parties. Online commentators have noted that the solution is not easily customizable. 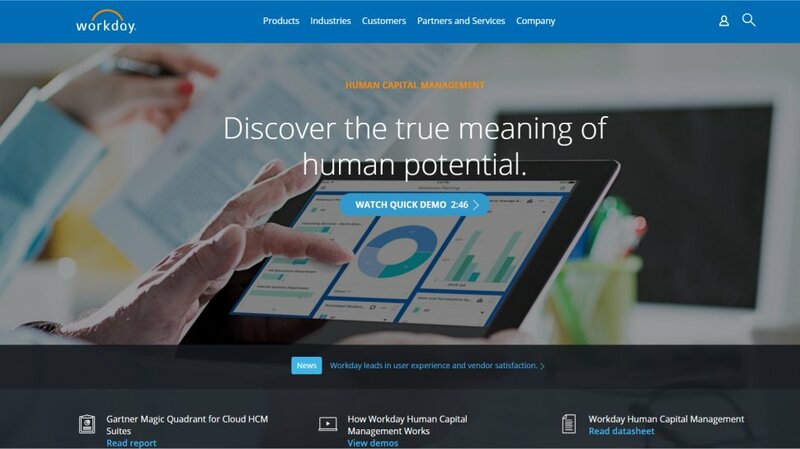 Workday is an on-demand, cloud-based financial management and human capital management software supplier. It was founded in 2005. Workday clients include Netflix, TomTom, Hewlett Packard, AON and Amazon. The suite is suitable for businesses of all sizes. Modules available include financial management, human capital management, analytics and professional service automation. The HCM solution offers workplace planning, recruiting tools, compensation, benefits, talent management, payroll, time management and attendance. The Workforce Lifecycle management solution is the main component of the suite and includes tools to help plan, hire, manage and analyze a large employee base. The ‘Compensation Management’ tool works by creating and managing employee compensation packages. Workday offer a variety of demos. Potential customers need to contact the sales team directly for a quote. Online reviewers have noted that the tool is not as user friendly as it claims to be. 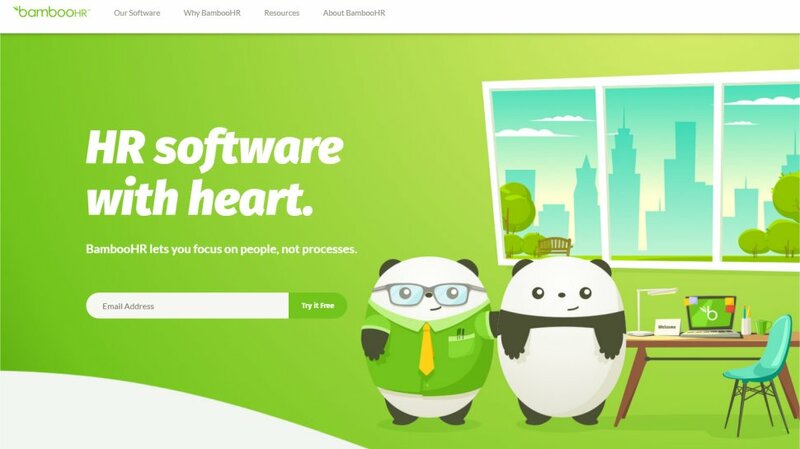 BambooHR is an American company which provides human resources software as a service. They were founded in 2008. Their high-profile clients include SoundCloud, Foursquare and Asana. The solution aims it services towards small and medium sized businesses. Its dashboard is easy to use and well laid out. You can manage personnel data, time-off tracking, files and reports from here. At the top of the dashboard are tabs for services such as ‘My Info’, ‘Employees’, ‘Job Openings’ and ‘Reports’ amongst others. All employees can view their photo, employee information and vacation allowance on the right-hand side of screen. BambooHR is an integrated platform which allocates functions through the hierarchy of users within the organization. For example, managers and administrators are able to see and do more than regular employees. The platform’s benefits administration allows companies to track custom benefit packages. They have a variety of plans suitable for all employees. BambooHR have apps for both iOS and Android smartphones. From here, you can access your company directory and time-off requests. The apps also let your employees stay up-to date with any changes within the company. There is a free trial available. Users need to contact BambooHR directly to get a quote. A few online reviewers have mentioned some minor usability issues with the online interface. 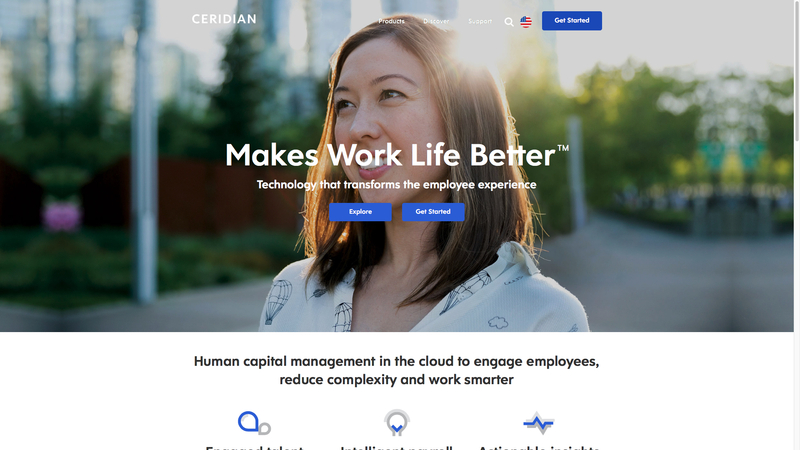 Ceridian provides human resources software and services. They were founded in 1992. 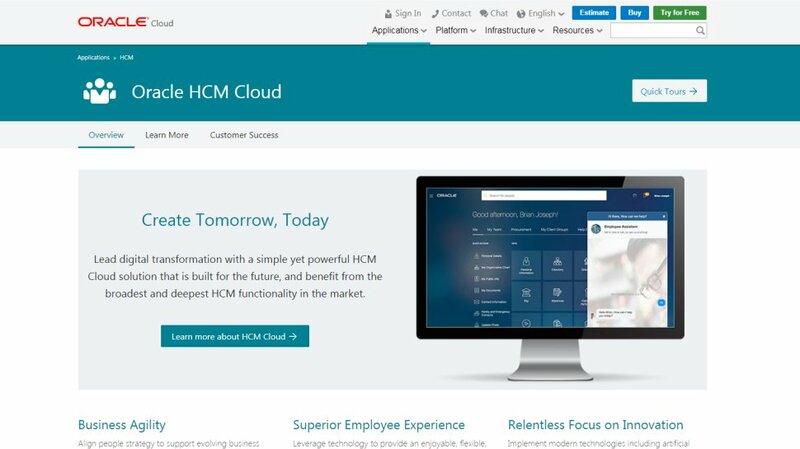 Ceridian’s HCM is run completely through one application called Dayforce. Users can access all functions via this platform. Dayforce is geared towards medium and larger sized enterprises. The platform allows users to manage payroll, attendance, timesheets and recruiting amongst others. It also offers mobile apps for both iOS and Android users. Customers can request time off, view any schedule changes and log their working hours through the app. The payroll system is easy to use. Employees are able to track information relating to pay. This includes a comprehensive breakdown of their payslip as well as their entire salary history. Dayforce also include the option to print out tax forms. Employees can also keep an eye on their attendance and stay abreast of their vacation entitlements. Users also have access to both chat and phone support. Dayforce HCM has its own online support portal. Dayforce allows administrators to set goals for team members. These goals will be tracked and scored by Dayforce at the end of the working year. Pricing is available by contacting the Dayforce sales team. You can also request a demo of their services. Online commentators have noted that there is a slight learning curve with this product.